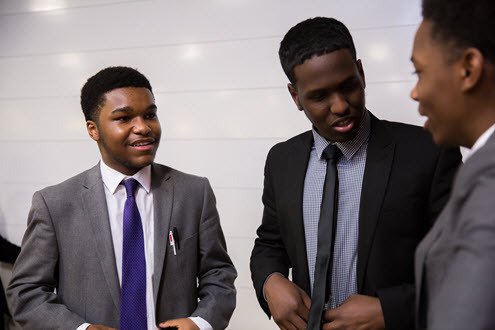 At the EY Foundation we work with schools and colleges to provide pupils with opportunities to develop their skills and learn about how they can get ready for the world of work. Our free half day workshops to students in year 10 and 11/ 3rd and 4th year in Scotland support students on their journey to become work ready. During the session they will take part in team challenges and will be given the opportunity to work on their presentation skills. If you would like to organise a workshop for your school or college, please get in touch. We launched the Young Women’s Network in October 2017 in response to feedback from our programme participants, who were looking for support and encouragement in their personal and professional development. The Network provides young women with an opportunity to meet role models, showcasing a range of career paths in different sectors. It also provides development opportunities including growing their own peer networks where they can learn from each other’s experiences. Through a series of interactive workshops and events, the Network responds to feedback and input from its members and aims to help young women fulfil their potential by addressing topics such as confidence and resilience, health & wellbeing, responsible use of social media, and routes into work. If you would like more information on the Young Women’s Network please get in touch. 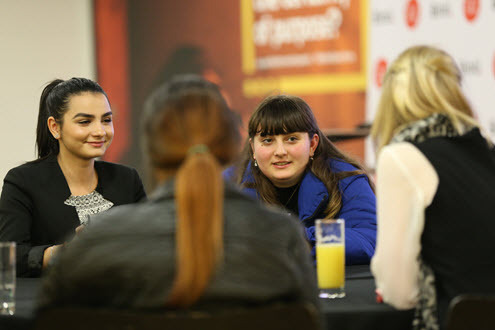 Our Network provides young women with access to a series of interactive workshops and events, and access to female role models across different sectors alongside growth of their own peer networks. The Network responds to feedback and input from its members and aims to help young women fulfil their potential.